Standard - $49.99 Only 9 left! It turns out, hell is much more complicated than Dante lead us to believe. It's not organized like a layer cake or ant farm. Nope, it's as chaotic, confusing, and drama-filled as the land of the living. Now, there are some creatures in hell that are worse than others. And some of them just can't seem to stay in the depths. They just keep coming back the earth's crust and spreading creepy chaos around. One of the most menacing minions out there? Our man, Violater! He's one rude, lewd dude, ready to ruin any party with his devilish bag of tricks! With a high-quality mask and a character that's impossible to forget, you'll have a costume for years to come when you invest in this mask! The latex covers your full head and is so detailed that you can see the enlarged pores, wrinkles, and moles of Clown's unsettling skin. Violater has on a wide smile that showcases all of his small, blackened teeth. The permanent sneer is accented with glossy red eyes and a wiry hair that'll make your evil clown persona obvious at a glance. 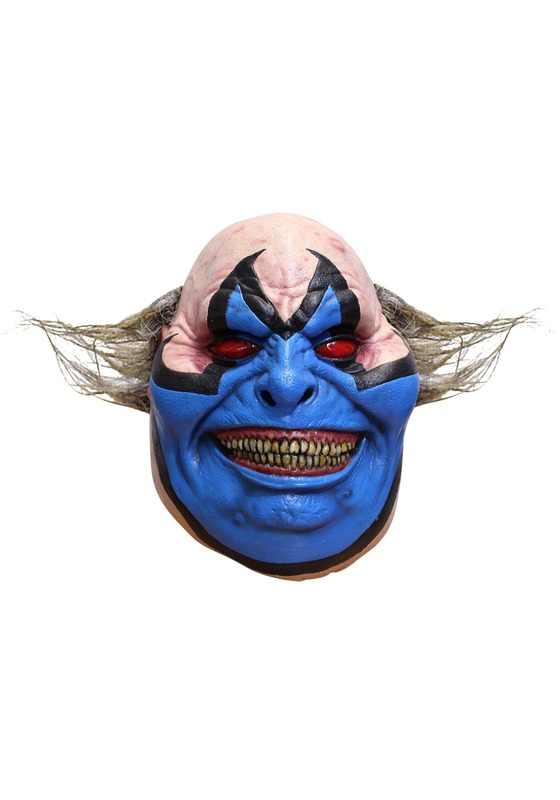 Whether you're pairing up with Spawn or you're simply spreading hellfire as the Violater does best, you're sure to love rocking this eerily realistic wig. Simply pair it with a tough leather jacket, striped black and white shirt, and a padlocked chain around your neck and you'll be ready to rock. There's no telling what'll happen when hell is on the loose!